Journalists have been detained on such spurious charges as “enemy collaborating with a foreign state,” “activity against domestic security,” “anti-government propaganda” and “spying.” Charges of “insulting what is sacred and Islam” and “insulting the Supreme Leader” have also been used to jail journalists. At least 57 journalists are registered in this file under a charge of this kind. Iran does everything possible to prevent the world from seeing how it persecutes its critics. The example of Farj Sarkhohi [Register No. 694968] is emblematic. The editor of one of Iran’s leading political and cultural magazines, he was kidnapped by the intelligence ministry as he was about to board a flight to Germany (for family reasons) on 3 November 1996. As his visa had been stamped, the regime was able to claim that he had disappeared after departing for Germany. However, the file confirms that he was detained in Tehran. Many NGOs including RSF voiced concern at the time and accused the authorities of orchestrating his disappearance. Under international pressure, the regime staged a press conference at the airport at which it produced Sarkhohi and claimed that he had just returned from Turkmenistan . In reality, he had just spent two months in prison. At least four professional journalists – Ali Asgar Amirani [No. 588071], Said Soltanpour [No. 280838], Rahman Hatefi-Monfared[No. 569803] and Simon Farzami [No. 390641] – were executed by the regime during this period. The file confirms for the first time that Farzami was indeed arrested and what exactly he was charged with. A Swiss-Iranian of Jewish origin, Farzami was AFP’s Tehran bureau chief and editor of the Le Journal de Téhéran, a French-language newspaper. 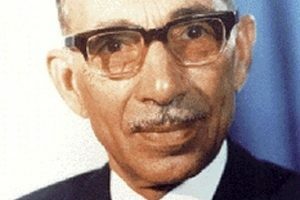 Arrested in May 1980 and charged with spying for the United States, he was executed six months later in Evin prison, aged 70. Dozens of other prisoners of conscience, including bloggers and political activists who produced press mouthpieces, were also executed by the regime. Of the 61,924 women in this register, 218 are journalists. They include Jila Bani Yaghoob [No. 2225407], a leading women’s rights defender, reformist and editor of the Kanoon Zanan Irani (Iranian Women’s Centre) website. She was arrested for the first time at a meeting organized for International Women’s Day in 2003 and spent a week blindfolded in Evin prison, an experience that she turned into a book published outside Iran. 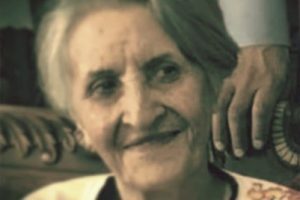 In 2010, a Tehran court sentenced her to a year in prison and a 30-year ban on working as journalist on charges of “anti-system propaganda” and “insulting the president.” She is registered several times in the file, highlighting the systematic nature of the judicial persecution to which she has been subjected. All of the repressive state agencies that had a hand in her various arrests on spurious grounds are mentioned in the file. The file also allows us to say for the first time that a total of 6,048 persons were arrested for participating in protests against President Mahmoud Ahmadinejad’s reelection in 2009. Until now it had been impossible to give a figure because the Islamic Republic has always denied arresting citizens just for demonstrating. During this period, more than 600 women and more than 5,400 men were accused of “action against national security,” a charge widely used to arrest and convict journalists and citizen-journalists who covered the protests. The file provides information about the 61,940 political prisoners since the 1980s, of whom at least 520 of them were aged between 15 and 18 at the time of their arrest. And it sheds light on the 1988 massacre in which around 4,000 political prisoners, who had previously been given prison sentences, were executed on Supreme Leader Ruhollah Khomeini’s orders from July to September of that year. Most of the victims were killed in prisons in the Tehran region and were buried in mass graves within Khavaran cemetery, on the south side of the city. The regime has always denied that these summary executions took place. On the basis of the file, it can also be affirmed for the first time that 5,760 members of the Baha’i religious minority were detained and in some cases executed for “membership of a sect” although the regime has always denied persecuting them for their beliefs. Many well-known Iranian figures appear in the register. They include Shirin Ebadi, the human rights lawyer who was awarded the Nobel Peace Prize in 2003; Nasirin Sotoudeh, who was awarded the Sakharov Prize in 2012; Abdolkarim Lahiji, a former president of the International Federation for Human Rights (FIDH); and women’s rights defender Mansoreh Shojai. Most were able to flee the country and were never arrested. The fact that they nonetheless appear in the file proves that the regime planned to prosecute them and that a warrant for their arrest had been issued. As soon as RSF received the file, it began verifying its contents. It worked for months comparing the information in the register with its own lists and the lists that other national and international NGOs have compiled of journalists detained during these three decades, and with the information published by United Nations special investigations. Many experts and the members of the specially created Committee for the Observation and Use of Iranian Justice Data were asked to confirm information and the accuracy of data in the file, especially as regards prisoners who have been released and the survivors of the purges in the 1980s and 1990s. Built by the last shah to jail and torture his political opponents, Evin prison grew steadily after the revolution and was able to hold around 15,000 detainees at one point. 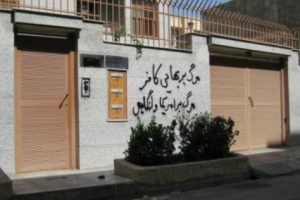 In theory, it is used for preventive detention but in practice detainees can spend several years there awaiting trial and many have also served their entire sentence in Evin. Executions have also been carried out there. – observes and ensures that the use of the data helps to improve the human rights situation in Iran and, in particular, the right to truth and justice of the victims of human rights violations named in the file, and their families.